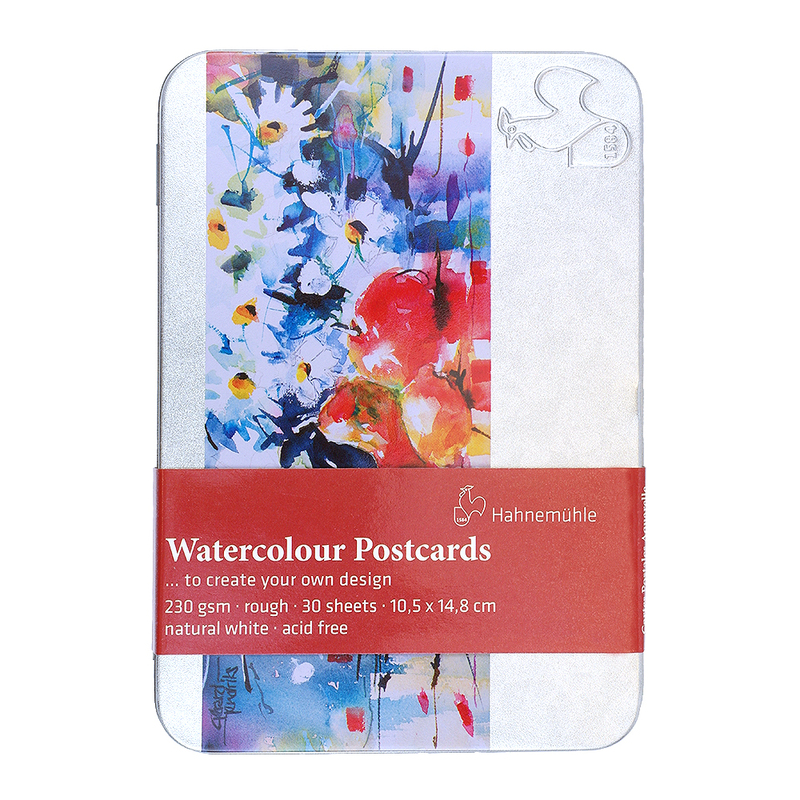 This stylish tin box contains 30 individual watercolour postcards. These postcards are excellent for capturing quick holiday impressions, painting greetings cards or invitations. An address field is included on the reverse side of the postcard so they are ready for posting. They are packed in a high quality metal box, with a changing illustration on each pack. The paper is acid free and age resistant, 230gsm with a rough surface.